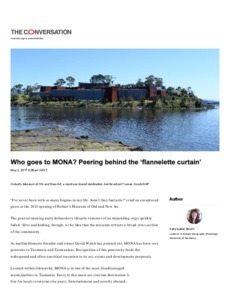 Located within Glenorchy, MONA is in one of the most disadvantaged municipalities in Tasmania. Entry to this must-see tourism destination is free for locals (everyone else pays). Entertainment and novelty abound, with the building, exhibits and festivals entangling the weird and wonderful.